D'après une aquarelle de Joseph Slater (+/- 1779-1837), réalisée en 1812. Il y a même une Richard-Bogue-Straße à Taucha (coin de la Otto-Schmidt-Straße). Le capitaine Bogue fut tué le 18 octobre 1813 ... par un boulet à la tête ou à la poitrine dans une charge de cavalerie qu'il conduisait à la tête d'un escadron de Dragons que le général Winzingrode lui avait confié pour escorter sa brigade. 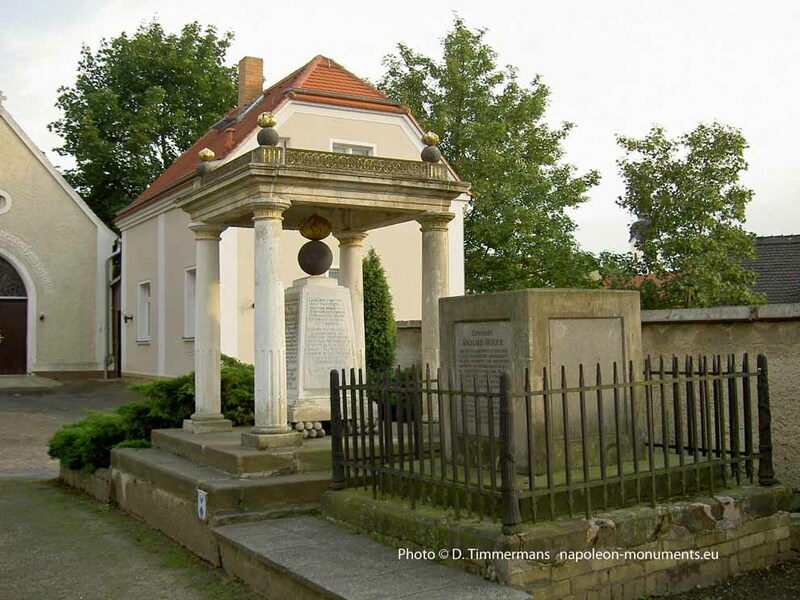 At Pounsdorf (sic), near Leipsic, in Germany, in his 31st year, Capt. Richard Bogue, of the Royal Horse Artillery, commanding the British Rocket-brigade in the memorable battle of that day, by the successful issue of which Europe has approached to deliverance, and England has gained an additional wreath of glory. After having contributed to this triumph by conspicuous gallantry, and services the most distinguished, this ornament to his Country, no less from professional accomplishments than from the private virtues of the heart, terminated his valuable life in his Country's cause, in the field of honour, leaving a disconsolate widow and two infant children to deplore the loss of the best of husbands and of fathers. The particulars of his fall, extracted from a private letter, cannot but be interesting to the Publick. — "Mr. James was with Capt. Bogue during the action, and at his side at the moment of his fall, in consequence of a rifle-ball which struck his face, and penetrated to the back part of bis head, and his death was nearly instantaneous. Mr. James states the extraordinary and successful effects of the rockets, as well as the glory acquired by Captain Bogue from his gallantry and judicious use of them, as infinitely surpassing even what has hitherto appeared in the dispatches. The Rocket-brigade was attached to the Crown Prince's Body Guard, but in previous understanding that in days of action it might, at the direction and judgment of its commanding-officer, be independently employed. On the memorable 18th, Capt. Bogue zealously seeing an opportunity of being useful against a large body of five French infantry battalions, occupying the village of Pounsdorf, gallantly solicited of General Winzingerode to go to the attack, where complete success crowned the operation, and Capt. Bogue lived to reap the honour of receiving the surrender of the whole five battalions himself, at the head of his own little force. It was in the attack of another post, similarly occupied by the French in great force, that our lamented and gallant Friend received the fatal shot, amidst the lamentations of the Army, and the acknowledgments that bis services on that great day had been eminently conducive to its success." — Capt. 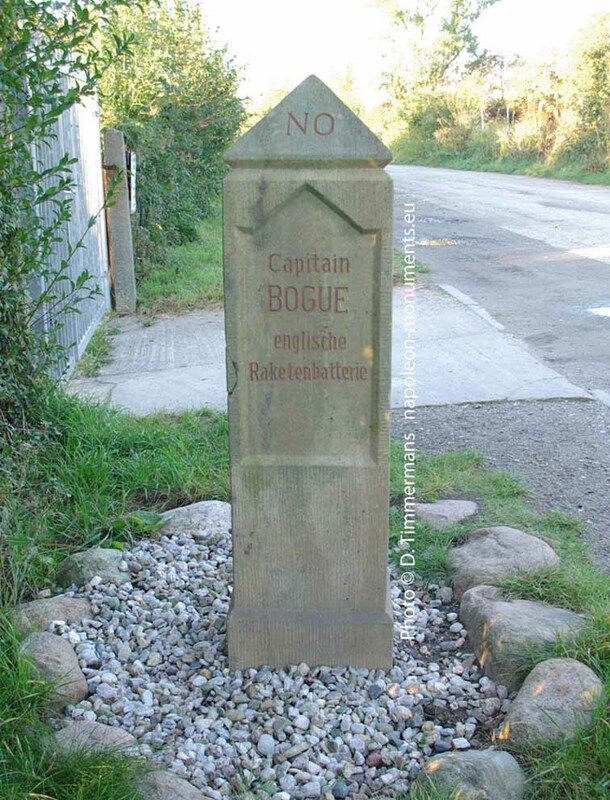 Bogue was brother-in-law to the lamented Capt. Hanson, who lately fell gloriously in Catalonia (see p. 499) ) Capt. B. having married the eldest daughter of John Hanson, esq. of the Rookery, Woodford, Essex. — He was the son of John Bogue, esq. M.D. of Fareham, Hants, who died in 1811 (see vol. LXXXI. p. 661. ), by the eldest daughter of Richard Bargus, esq. of the same place, who was for near 50 years an Acting Magistrate for the County of Hants (see vol. LXXV. p. 389.) She died in 1806 (see vol. LXXVI. p. 886. )— Capt. Joseph Bradby Bogue, of His Majesty's ship Terpsichore, who died in 1807 (see vol. LXXVII. p. 576), was half brother of the late Capt. 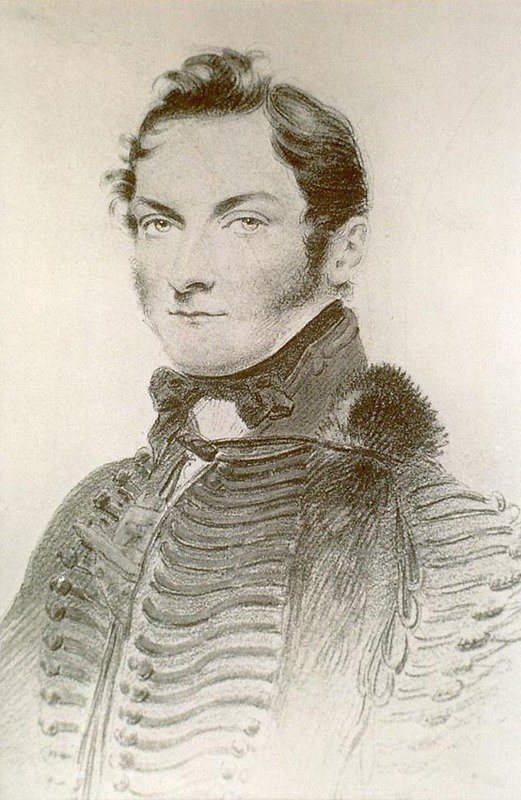 R. Bogue, being the son of Dr. Bogue, by his first wife. 1. Lorraine Petre, Napoleon's Last Campaign, p.364.